Tommy has given himself a new name &#x2014; Kenny &#x2014; from the Japanese ken, meaning sword. It&#x2019;s a good samurai name. A warrior&#x2019;s name. This summer at camp &#x2014; a camp for kids who are not wanted at home &#x2014; Kenny and his friends need all the samurai cunning and strength they can muster. They have declared a war &#x2014; between themselves and the camp&#x2019;s sadistic overseer, Matron, and her adult son, Christian, who secretly stalks one of the girls. Covertly building a samurai castle in the woods, Kenny and his motley band of warriors strategize their attack and eventual escape. But then things go horribly wrong. How Kenny and the others find the will and strength they need to stand up for one another, for themselves, and for what&#x2019;s right is the heart of this dramatic, unforgettable story. 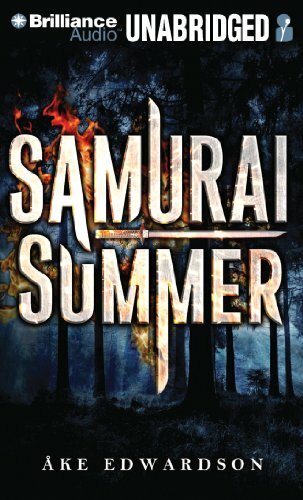 Readers will be forever changed by Kenny&#x2019;s samurai summer &#x2014; the summer he recaptures his dreams and learns the cost of truth. &Aring;ke Edwardson is a Swedish author of novels, short stories, plays, detective fiction, and is a three-time winner of the Swedish Crime Writers' Academy Award for best crime novel. Set in Sweden in the early 1960s, <i>Samurai Summer</i> is Edwardson&#x2019;s first novel for teens.